Apple’s new iCloud service lets you back up your iOS devices to the “cloud”. For instance, all of your contacts and mail accounts can be automatically backed up to Apple’s servers. If for some reason you ever need to restore your device, all of your data can be easily retrieved from iCloud. In this tutorial we will be showing you how to easily enable and view iCloud backups on your iOS device. This tutorial requires an iOS device running iOS 5. To start, launch the Settings app on your iOS device. Once the app has completely launched, scroll down until you see the iCloud option. When you see it, tap on it. Now, scroll all the way to the bottom of the iCloud menu. Tap on the option labeled “Storage and Backup”. You can now view how much storage is left on your iCloud account. 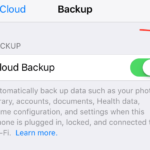 Now look towards the bottom of the screen where you will see an option labeled “iCloud Backup”. To turn this on, tap on the slider that is located to the right of this option. 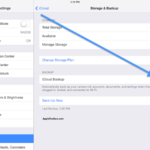 Once you’ve activated iCloud backups, your iOS device will automatically back up to Apple’s servers. 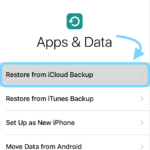 If you ever need to restore your device from a backup, simply restore from an iCloud backup. Note: Once you enable iCloud backups, your iOS device will no longer back up to your Mac or PC. If you would like to view how much storage your backups are using, look towards the center of the “Storage and Backup” screen. You will see an option labeled “Manage Storage”. Tap on this option. You will now be taken to a menu where you can view your recent backups for all of the iOS devices that are on your iCloud account. If you would like to delete a backup, simply tap on the backup you would like to delete. You will see a button labeled “Delete Backup”. Tap on this option to delete the selected backup. If you would like to start a backup manually, scroll to the bottom of the “Storage and Backup” menu. Tap on the option labeled “Back Up Now”. Your iOS device will now start to backup. Thanks for reading today’s iOS tutorial. Check back soon for more Apple related tips, tricks and more! How do I review the files in my back up file and manual delete the ones I no long need? Unfortunately, backups of your iDevices are not reviewable files and consequently, you cannot delete individual files from a backup. What you can do is delete an entire backup from your history of backups. To delete entire backups, take a look at our article on How to Delete iCloud Backups for step-by-step instructions. I backed up my photos on my iPhone 6 in January and removed them from my phone to make more space. I can only see that my iPhone is backed up in iCloud but cannot actually access the backup. The photos took all of my free iCloud storage and I can’t even see them! Does anyone know how to access the backup?? Bev, did you figure this out? I’m with David. How do I view the material/data that has already been backed up? I simply wish to purge stuff I no longer need. Seeing I have a back up does no good. I have a new iPad Air 2, so what actions do I need to take? I believe the missing item from iCloud storage and backup is due to the security settings of the phone enforced in the iOS. If you have MobileIron or a similar application loaded from your workplace then iCloud backup is likley disabled due to security purposes. When I navigate to my iCloud settings, I don’t see anything for Backup or Storage. All I see is a list of apps that are syncing with iCloud (Mail, Contacts, Calendar, etc). Any idea why this is missing from my menu and where I can locate? Do I need to turn this on from somewhere so that it displays in the menu? I’m running iOS 5.1. Thanks! Has this been resolved. I have exactly the same issue, the “Storage and Backup” menu option is not even available. 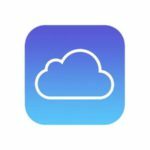 How do I retrieve documents stored on iCloud?